(for posterity) If you are in the UK and would like to access Netflix US catalogue, which is about three times bigger, read on. There are commercial services out there, such as Unblock-Us and Smart DNS Proxy to name a few, so you could pay for the privilege to use their services or you can knock together a similar solution quickly yourself for a cost of a cheap Virtual Private Server (VPS). How cheap, depends on where you decide to host your VPS. In essence, the following solution works by selectively proxying only certain requests (*.netflix.com) via a server located in the US, thus bypassing Netflix application level geo-restrictions. This solution does not proxy the actual video delivery, which uses different domain(s). Please note, this basic solution doesn't work on devices which don't support the use of SNI during SSL handshake (e.g. Netflix on Chromecast). To support such devices, you will need to extend this solution to selectively proxy individual Netflix hosts using something akin to HAProxy, go with a commercial provider or switch to black.box unzoner. For my hosting I choose Digital Ocean with the VPS hosted in a New York data centre for $5 USD per month. If you sign up with the above link, you will receive $10 USD credit, which is enough for two months hosting. 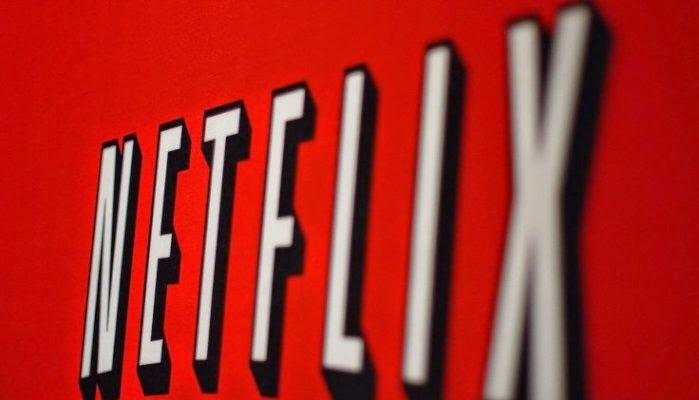 Note, Netflix has blocked Digital Ocean IP address ranges, so don't expect it to work. Other services may still work though. For the purpose of this demo, we assume your VPS's public Internet IP is 162.243.x.y and your host is called myhost. We also assume your ISP has assigned 86.144.x.y to your home router. You can check what your IP is by going to http://www.ifconfig.io/. Note, if you ISP assigns you a dynamic IP, you will need to update your configuration every time this changes. Better ask them for a static IP address. When creating your configuration files, please change the place holder IPs to your actual IPs. Deploy a CentOS x64 6.x image to a US based data centre, ideally on the east coast. Once your VPS server is created, you will get a public IP address and SSH credentials to use to login. BIND is going to be our DNS server. It will respond with our VPS IP to DNS requests for netflix.com domain. Note, we are configuring the DSN server to run in a chroot jail and as a non-root user, to provide added security and minimise the potential effects of a security compromise. * Note, change the above IP address to your the public IP of your VPS and update the datestamp. You should get the IP address of your VPS in the DNS response. SNI Proxy is going to be our HTTP/SSL proxy, which supports for TLS SNI extensions. Note: if the RPM fails to install, check the exact name of the file in the /root/rpmbuild/RPMS/x86_64/directory. Also, please review the ./configure command output to make sure LIBUDNS or libudns is detected, if it hasn't, you will not be able to get SNI Proxy to work with the below configuration file. On a Red Hat/CentOS server, the library should be available from EPEL repository (yum install udns-devel), however for other distributions, you will need to build and install it manually. Note, if the proxy complains about ports being in use, check if you got another web server already running and if so, disable it or move it to a different port. You should get a socket connection on port 80 and get an SSL handshake with Netflix. The last step is to change the DNS server on the device you are planning to watch US Netflix on. Set it to your VPS public IP (i.e. 162.243.x.y) Fire up Netflix and you should see the US catalogue and if you do - enjoy! Note, this won't work on devices which don't support the use of SNI during SSL handshake, you'll have no choice but to use a system described in this guide or use black.box unzoner. I've used the following reference material to prepare the solution described in this article. Many thanks to the respective authors. Hey, thanks for the great method - it works very well. However, how about doing it without the need of SSL3 handshake? Many things do not work with this (like LG TV's or Xbox or Playstations...). Thanks. To be honest, I haven't got access to a device which doesn't support SNI during the SSL handshake. But in theory, if you somehow inject the host header during the SSL handshake, it could work. Not sure how to do this in practice though. That was a great tutorial. I followed all your steps and finally tried to start the BIND. But it FAILED to start and was showing an error that the Netflix.com file was not found! zone netflix.com/IN: not loaded due to errors. eg: chown a:b myfilename what is A and what is B ( what is users and groups mean? In this case it will be named:named, but you can do "ls -la" in the chroot directory to verify. thanks for the help so far still no joy I must be missing something in between? Just make sure db.override and zones.override are in the correct paths according to your config file and both are owned by named user:group. Note, you may need to change the ownership of the new files you created from root to named (e.g. chown named:named ./db.override). Check various logs on the system to figure out why it isn't starting. It should be something fairly obvious. Check /var/log/messages and logs under /var/named. I just can't get SNI Proxy service started. I've tried with "sudo sniproxy service start"
Seriously there is something you have left out in the tutorial. I'll try building another host in a few weeks and update the guide. Really cool! Managed to get most of this setup using just copy and paste. I did notice one thing where the you say to edit db.override, but didn't mention to put it into /var.named/chroot/etc/named/. Threw me a bit, but spotted it eventually. Also I had to copy the named.conf into the /etc folder as it wasn't being picked up where it was and I also needed to rename the sniproxy.init file in the /etc/init.d folder to take off the .init extention and 'chmod 777 sniproxy' the file so that it didn't throw an access denied error. Thanks for putting this together btw! I'll update this guide in the next few weeks to include all the suggestions and then test it end to end. The bit about other services listening on 433/80 is easy. Just run a command 'netstat -anp | grep 443' and see what process is already using it. It will probably be Apache. Stop it and try again. Turned out not to be that. SNIProxy was just failing to bind to the IP address. I changed the IP address in the sniproxy.conf to be the internal IP address of the server and now it works fine. I installed sniproxy again and I've got no luck. Odd.. Are you trying this on your Ubuntu VPS or Red Hat? I have this partially working - I can browse the US catalog (The Office (U.S.), but I get an error when I try and play US content. I can play other content fine. Any ideas? Thanks. What happens when you do a DNS resolution as well as OpenSSL test? You should resolve to the IP if your host and get the SSL cert. for Netflix. Would doing this on Debian also work similarly? anything to look out for? I can confirm this works. I tried this on exactly the same configuration. However what gives errors is bind-chroot. It works just find if you use yum install bind and don't use the chrooted bind. (see 3rd post on https://www.centos.org/forums/viewtopic.php?t=5314 ). Then make sure not to use the chrooted dirs for bind. Also, you need to manually change sniproxy.init to sniproxy and chmod it. Lastly, when I telnet from my home PC to the server, I get "503 Service Temporarily Unavailable" and "Backend not available", but it still works with Netflix. Throughput is amazing, I get SuperHD within seconds. BTW: if you want to know how fast it REALLY is, add speedtest.net to the zones.override and sniproxy.conf files, and give it a whirl. ab1: what is the difference between sniproxy and squid (which I am more used to)? Is it SSL support? ab1: does this also mean that now ALL DNS requests pass through the USA VPS? This probaly slows surfing down a bit I guess. Ideally, one would have a VPS close by (in same country), despatching only the necessary DNS requests to the US VPS. But it's probably very complicated to set this up. That's an advantage of eg Unblock Us and similar services: they have servers all over the world, and redirect only to the necessary server if a matched domain is found. I ran GRC's DNS benchmark tool. And indeed: uncached resolving takes between 0.5 and 2.5 seconds, while most other servers (such as Google's) only need 0.02-0.04 s. Ouch. Perhaps it was just the site (netflix.com) loading and the startup ... I'm sure hope the content (CDN) isn't sending anything thru the proxy. Have you noticed any large data usage on your VPS since you started ? I have a dedicated server, but is behind a firewall may open certain ports to work? Thanks everyone for having to troubleshoot my mess :) glad that it works at least for some of you! Regarding excess traffic on the VPS - the setup only proxies *.netflix.com but not the actual video delivery, which is done using a different domain. The traffic you will be seeing is web/API requests as well as telemetry data from the players. Regarding sending all DNS requests via the VPS - I agree this is undesirable. If you have a router capable of DNSmask, you can configure it to only send netflix.com DNS requests via your VPS while resolving everything else locally. I use a fortigate firewall for this with a local DNS server. Also, I don't think roku devices will work using this approach, because they don't perform SNI during SSL handshake. Rokus don't allow for any configuration: you cannot change the DNS server at all. My Roku works, because I have a router behind it wiht my VPS IP as DNS server configured. Only way to do it. I'm glad people are posting and not me being the only one with issue's. Thanks for this great tutorial. Works well in my pc but not works in my smart tv Viera Panasonic. I haven't tested this using copy/paste end-to-end as yet, but if anyone wants to have a go in the meantime and let me know if they encounter any more issues, hat would be great..
an I missing some parameters in the named.rfc1912.conf? stupid question, do I have to have HTTPD killed in order for SNIPROXY to run ? Can i attach the SNIPROXY to my internal IP address instead? Yes, HTTPD will need to be shutdown in order for SNI Proxy to listen on port 80, since we need to transparently proxy HTTP. You could probably do some iptables redirects internally on your host to make both of them work, but that is outside the scope of this article. Hello, does it work with Apple TV? Yes, works on my ATV. You need to change the default policy to DROP (iptables -P INPUT DROP) or add a rule to block all traffic (iptables -A INPUT -j DROP). You might want to allow ssh as well depending on how you connect to the machine. It would probably be good to mention that in the article. I'm sure some people don't know (even if I don't think you should follow that procedure if you don't understand what you are doing). Thanks for the link about DROP vs REJECT. This rule set allows SSH/ICMP in from anywhere as well as DNS/HTTP/HTTPS from my home IP. The rest is rejected. Some others had problems with bind-chroot as well. I would just install BIND without chroot and be done with it. Unless you are planning to store sensitive information on this VPS, I wouldn't bother with the extra security of putting BIND into chroot jail. If i wanted to add a second ip address so i can share the rent of the server with my sister how would i add a second ip addess? Yes it been battle, and I'm on 3rd base & the carrot is dangling in front of me. If it loads without errors, at least you can test it all out and worry about the service config later on. yeah got same result as you posted, where do i go from here could it be a permision issue? If it all works, then point DNS on your Apple TV/whatever at your VPS and see what happens. I have tried everything, but still the service is not starting. Giving me error saying that "error reading information on service sniproxy: No such file or directory"
So, does that error means the sniproxy service is not correctly registered? We are trying to start the service via the chkconfig command. Isn't it? So, will it because the service's conf file or the script file is not in proper location? There, I saw something mentioning about changing the ports Do we have to do that? Was that what we are missing? OK, I think I found the problem. The sniproxy init script should be /etc/init.d/sniproxy rather than /etc/init.d/sniproxy.init. Thanks heaps that got it going. working of pc browser. This process won't work on some devices, because they don't support the necessary SSL extensions, but will work on iOS devices. No Problem also just to note my telnet goes blank black not trying to connect although the service is working I think i may of saw 503. I'm running this on a Macbook Air with Google Chrome. Has anybody seen/solved this issue? Make sure you only have your device configured to point only to your special DNS server. Also disable IPv6 if you have it configured. Empty DNS resolver cache on your Mac and check if your upstream router isn't caching the wrong DNS entries. I've seen this before when the system is doing round robin DNS resolution. ab1 what are the chances of doing a not sni tutorial to support wd tv and xbox360 samsung tv tutorial. this tut you did has been a gem and thanks you very much for the effort and time and suppourt. I am definitely interested in doing this type of setup using HAProxy/DNAT, however I don't have a suitable device to test with at the moment. can you post update to include bbc i player and pandora. You'll also need to use a VPS in the UK, since BBC iPlayer is geo locked to the UK. HGTV at least (not sure about the other one), implement a content provider lock, so you must have a subscription with the supported ISP/TV provider in the US. Even if you can get around the geo-locking using the approach in this guide, you won't be able to stream unless you have a user account with Verizon, Time Warner, etc. If you have a valid account with one of the providers they support, then you should try bypassing geo-locking using this approach (possibly for both the streaming provider's domain and the TV provider's authentication domain) and it should hopefully just work. If the system tells you the video is not found, then it sounds like their system is broken or just badly designed, or maybe they have geo-locking enabled on the media distribution end-points (i.e. Akamai, Level3, etc. ), in which case you'll have to bypass geo-locking for these as well. You basically have to watch what DNS requests are being made and evaluate whether or not to proxy those domains via your US VPS. Trial and error I am afraid.. Sorry if I can't be helpful. Thanks AB1 how would one add a second ip for the uk would you need to create a php script? Thanks for all the help! I've discovered the HGTV/DIY Network seems to be loading from akamai but i couldn't see this in my dns logs, i had to run Fiddler to determine this, it's requesting based on IP addresses and not host names, but resolving the host names comes back to "akamaitechnologies.com" but with subdomains in the beginning...how do I tell sniproxy and named to process anything going to that domain and sub domains? Any idea? @Matthew K, I have no idea why you are getting that error, looks like a format error in the sniproxy.conf file maybe? Check it again very carefully, against my examples and examples on the web and also pay attention to any errors it threw during the build. @Ari V: what exactly do you want to achieve with the 2nd IP? Thanks for the great tutorial. Do you plan to work on a non-SNI version soon? I know you don't have devices but there are lots of testers around willing to help. Now I'm getting the following error! I was so close! Worked when I put the table before the listener in the .conf file. I tried that and still not working...as i mentioned above, it appears it's going to the IP address of the AKAMAI servers which I assume change often so I think it's pretty hard to do...it would almost appear that my request goes to the hgtv site, then they do the geo lookup with akamai as I see nothing in my logs pointing to akamai. Strange. i'll keep plugging away. @ab1, have you seen this using HAProxy? I've actually learnt quite a bit about linux from this guide. P.S. Yes, I started looking at the HAProxy write-up, however it does require a Linux server at home, which will be doing TCP port translation towards the proxy. Unfortunately without a local server it can not be implemented. Fortunately however, a Raspberry Pi will do the job just fine. Thanks for the great post, followed most of it and got it up and working with no issues. I do have an issue with my Roku 2 box, all other devices work using the VPS dns sniproxy work fine, pc, iphone, wii. Roku can login and can see the US content, but when you try and stream, Roku throws error 010 and loses its wifi settings. I have tested US content with Roku via unblock us and unlocator and it has no issues. I have reverted to packet captures but cannot see where its failing. Hi, do you see a difference in the SSL handshake in your packet capture against Roku vs. a working device? This whole setup requires the client device to support SNI, if it doesn't, you'll need to use a more complicated setup with HAProxy/DNAT. I got everything working following your setup with a few small changes when doing sniproxy, because it needs to be build with the depends. Hulu, Netflix and Pandora all work great. So i decided to try and add southparkstudios.com in there so i can see their episode teasers with out being told I'm not in the US. however it just seems to redirect the site to port 80 on my VPS when I add it to the Zones database. Any ideas why? Can someone give necessary proxy inputs for UK based services like Sky-go, 4od, BBC Iplayer to use with an UK based VPS? @ab1, thanks that worked. Now to resolve fox.com with the same issue. I am sure i am missing something i will use the Lightbeam plugin on firefox to see what sites connect to fox.com. Thanks for the hand. Thanks for posting this. Saved me a few hours of muckin around. Anyway really appreciate your effort, got back on X-Files last night, woot! Cheers, I've updated the guide. So far it works fine. I would appreciate if you can post the complete iptable configuration. Thank you, for complete iptables rules, please see post above on the 29 March 2014 15:02. I am able to get it to work on Netflix and Pandora however, I can't get Hulu to work. I get error on hulu stating that I am using anonymous proxy tool and can't access hulu. Btw, I am using AWS EC2 as my virtual machine located in oregon. You could try getting a different IP assigned to your VPS, which hopefully won't be blocked, but I suspect Hulu are going through and blocking ranges of IPs they believe are being used to proxy through. I like to confirm that Netflix on Roku 2 doesn't work. However, it works on Roku 3. Thanks for the awesome post. My only problem is with my iptables. I've whitelist my ip, but if at the end of the chain I drop all with this command. I can't access netflix or any site that I route to my VPS. I still can access other sites though. I posted my iptables policy above. You should just use that using your home ip instead of mine. Just edit the file directly and restart iptables service. (1) Can you resolve netflix.com to the IP of your VPS? (2) Can you get to port 80 and 443 on your VPS IP? (3) Can you get a proper SSL handshake with your VPS using SNI option? To rule out the firewall, just stop the iptables service on your VPS, while you are testing. If you can't even get a socket connection to your VPS on the above ports, then it is possible your ISP is interfering. Yes, I rule out the iptables and all works perfectly. I've been trying to get this to work for a while now. At first I got the same error as many others because of chroot, so I reinstalled bind without chroot. I now copied the edited files to /etc in stead of /chroot/etc and edited the files so they'd refer to /etc. I have IPTables set as instructed and checked with yours in the comments, where only the order of the rules differ, but I can't imagine this is the problem. I also set my AWS security group to allow UDP traffic to 53. Thank you, I've updated the guide with the missing dependencies. It is odd you had to adjust permissions on /etc/sniproxy.conf. Mine is owned and readable/writable by root, no execute. can you explain why ? That probably means SNI proxy isn't doing what it is supposed to do. Try running the test directly from your VPS and go from there. I've deployed your method on Ubuntu and it works great, at least for netflix. However it fails for other sites such as hulu/abc.com. It keeps prompting me the error that I'm outside of US. See the comment on 9 May 2014 07:50 regarding Hulu (and possibly ABC). Thanks for the quick response. However I didn't get the same error as that site shown. It was the typical prompt telling me that I am accessing it from outside of US. Would that still be the same ? I just tried watching Hulu (not Hulu+ via the web and it worked fine this time..
Hmmm... suspect Hulu foul play then. would you be able to share with me the table list of your sniproxy.conf ? I sure hope I did not miss out any of the important hosts. Where 1.2.3.4 is my public VPS server IP. Probably the easiest way would be to turn on query logging in DNSmasq? Sorry to raise what is an old issue, but I'm quite stuck at the same place "Ari V" was. I have a basic knowledge of Linux and followed instructions exactly line for line. When attempting to start the BIND service "service named start", I get the dreaded "FAILED". I've checked the permissions of the .db files and permissions for both appear correct. drwxr-x--- 4 named named 4096 Jun 24 06:10 .
drwxr-x--- 6 named named 4096 Jan 20 12:40 .. I've chaned the ownership on the entire /var/named/* to named:named and it still works. Try "chown -hR root:root /etc/named*", perhaps it is trying to run as root.. Listing the permissions nailed it. For whatever reasons, the other commands just weren't apply named:named for all files. Went through and did each one manually. Thanks for all the help, all good now. Just for no reason really I installed the sniproxy first, made sure that was working then started from the top of the instructions. Possibly helped that I was standing one leg facing east while singing yankee-doodle. Oh yes, lots of it! The reality, is that while it's only $5/month to keep this running on a VPS, it's actually about $2/month less using a 3rd party service. But where's the fun in that, right? This was a great blog on how to get this working, however it failed for me first due to the bind-chroot option. After uninstall bind-chroot and just using bind "yum install bind -y"
(This page showed me why BIND didn't start - down the bottom of page. I also added squid to the box with a very basic config just to get it working. This allows me to use my PC and get Netflix running on that. Cheers bob, thanks for the updates! You do realise '162.243.x.y' is just an example I gave, you actually have to use your IP address? Try running "ifconfig" on the command line and see what your address is..
Hi, did you know any HAproxy configuration that doesn't need the local server? I meant that it sould be very similar of what you did with bind + sniproxy; by the way I did the setting and it works great, thanks. I was hopping to do something similar using bind+haproxy; but that post ttp://trick77.com/2014/03/02/dns-unblocking-using-dnsmasq-haproxy/ is to complicate to be implemented in the same way. The example given on trick77.com, works very well, but requires some maintenance as providers add change/hosts. Beside using the example IP address, another problem is that your code formatting plugin is interpreting the serial number in db.override as a telephone number, so it adds a link to tel: protocol handler. port forward :80 and :443 can be done with IPTABLES, right so that's no a problem. I'll see if there is a way to stop Syntaxhighlighter being too clever. In regards to the issues that were being had by the AriV and getting named started, I identified this as being cause by the files in directory /var/named/chroot/etc not being owned by the user name. A simple 'chown named:named named.conf' (and all other files within that directory) resolve the issues for me. Named then started without any issue. Also, for those trying to sort this out, when installing sniproxy make sure that you modify the commands listed for the version of sniproxy that comes down from the GIT repo. 'yum install /root/rpmbuild/RPMS/x86_64/sniproxy-0.1-1.el6.x86_64.rpm -y' as the package name will be different based on what is on the GIT at the time. Also, in regards to the iptables configuration, the default policy on CentOS is to allow all inbound communications, which means that irrelevant of what you have in the iptables, the entire interwebs will be able to use your resolver. You will need to change the default policy for iptables to drop (or reject) for inbound communications to ensure it is safe. Most importantly relating to the iptables setup is the need to add a rule to allow inbound SSH, because if you don't you'll lock yourself out of your server completely. If i do server sniproxy start I get an ok. It seems to start, but then immediately fails with no error message (or log file message either), if I check status, it tells me it's dead with an existing pid and lock file. Hi, I got this all working pretty nicely. So first of all: thanks for your effort! I got another question though: Could I have sniproxy forward everything it gets? So that, if I choose to have my server as DNS, it'll only proxy netflix for me; but when I use it as a vpn, it'll proxy everything. Is that possible? As far as I can see, I'd only need to change the sniproxy.conf to have any address in its table, since bind already takes care of only replacing netflix.com with the server address (in "DNS mode"). Would that work? Regarding proxying everything with sniproxy, yes all you need is to set sniproxy to accept any hostnames. Although I am not sure if a wildcard hostname is supported in the config file, but if it is, you should be fine, otherwise you'll have to put it all the host names you are planning to proxy in there. i got the bind working but unable to install sniproxy getting following error when i run ./autogen.sh && ./configure && make dist. I looked through all the comments and didn't find any one else having this issue. Oh also, my sniproxy I had to use their install guidelines as yours wern't working. So what specific issue(s) are you having when building/installing sniproxy on your Azure VM? Hi Great tutorial, I have been using it for 2 months without any error and i want to thank you for that. Recently my VPS was held hostage to target an attack as it is an Open DNS Resolver(I am only using it for SNI Proxy). What steps have you taken to harden your VPS, can you please suggest some if you have got time. I have added all the firewall rules as you suggested in your post and also am running Denyhosts. Hello, thank you for your support. Where 86.144.x.y is your home IP address, from which you will be accessing the DNS/HTTP proxy on your VPS. Provided those rules are in place, no one else on the internet will be able to query your DNS or proxy through your VPS. Make sure you test this is actually the case once you put the rules in place, by trying to do a DNS lookup from an unauthorised IP. Thank You for your help. I'm planning to implement like commercial for unblocker service like unotelly.com. For that What i have to do?. Give me valuable suggestions?. Dear Cloud, the most valuable advice I can give you is to do your own research using all of the free tools available to you, such as Google. And also remember, when people give you money for a service, they expect quality, which for a technical service usually means a lot of hard work in designing it correctly from the start. In the past I've been given dns numbers by friends for the western digital tv live plus box, and they worked just fine...for a while. Any suggestions on what those dns's might have been doing to make it work for western digital? Hi David, do you mean that the 3rd party DNS server you were using before with your WD box worked and this configuration does not? See that's the catch, I'm not sure what configuration they were running on those numbers. The new setup you VERY helpfully provided works great...but of course my WDTVlive doesn't seem to use SNI....so it doesn't work. So you were probably using a more advanced commercial service, where they have a different proxy listener for each distinct hostname (we are proxying everything using one listener). This one works pretty well, but you'll need an additional piece of kit at home - a small Linux router with DNSmasq and IPtables. That’s a good article. I personally prefer UnoTelly. It’s similar to unblock-us (or other DNS service) but they offer a DNS server close to physical location and I can achieve better performance. So snipropxy is binding the the public IP and sends any traffic for the local domain to my httpd instance. Seems to work fine so far. I am just worried about the bad guys using my vps for DNS DDoS Amplification Attack. Would Iptables be enough to secure DNS. Since, I am sharing my vps IP with many friends and colleagues. I feel concerned. Any advice?? Seems to work pretty well on my box. If you are also all using static IPs, you could lock it right down in up tables, but I realise that isn't always practical. Nice tutorial. I got it all working but Im still getting my local netflix (scratching head). Im sure Ive changed the dns servers (did so by editing /etc/resolv.conf). Also to be even more sure I shut down sniproxy and tested..netflix.com times out. Turn sniproxy back up and..local netflix. Cant figure it out. Any advices? Thank you for spotting the typo, I'll update the guide. Make sure you are changing DNS servers on the machine you are watching Netflix on, not on your VPS. There are some diagnostic tests at the end of the tutorial, which hopefully you've run locally on yor VPS. The DNS test should resolve to your local VPS IP. Have a look at the response to make sure it is giving you a US Netflix cluster..
..yep all that those tests resut as expected and I did changed my local DNS. 3. Netflix servers receive the call with the src ip of my VPS so they respond as they would to an american client. Are you 100% sure where your server is located? Try tunnel through it and visit www.ip2location.com. Or even better, add that domain to bind and SNI proxy. What does that tell you? Response from Netflix apparently. Not sure how true, but may not be as bad as the original article suggests. In any case, your own DIY solution should be much more bullet proof with respect to these counter measures, as long as not too many Netflix users appear to come from a single IP at the same time. Really appreciate this guide - most thorough I have found on the net so far for "smart dns" setup. I've not put it into practice yet but all makes sense (which is a good thing!). Once I have this working i'm going to make a YouTube guide too, with credits to you ad the other sources I found. Excellent! Thank you, hopefully it all works for you. If you encounter any issues, do let me know and I'll try to help..